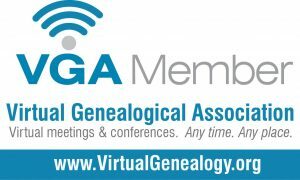 If you’ve been around Genealogy DNA for a bit, you’ve more than likely heard of the site GedMatch. GedMatch is a great (and free!) tool you can use to dive deeper into your DNA results. In simple terms, GedMatch is a catch-all for all DNA testers. No matter the test (with some exceptions) you can find all your DNA matches in one place. In today’s post, I’m going to go into the basics of GedMatch and how you can benefit from using it. The first step in using GedMatch is uploading your Raw DNA file. To find this file, you will need to go to the site of the kit that you used. For example, if you took the AncestryDNA test, the Raw DNA download can be found under “settings” on your DNA results page. Once downloaded, you can upload this file to GedMatch. Once your Raw DNA is uploaded, you will receive a GedMatch number (you can see mine in the above picture). This number will be what you use to run your matches, compare your DNA to specific matches, and as a reference when contacting your matches. If you notice, my number starts with the letter “A”. This is in reference in what company I used to take my DNA test. You will find that GedMatch numbers that start with an “A” used AncestyDNA, “M” is for 23andMe, and “T” is for FamilyTreeDNA. This will help direct you on where to possibly find a family tree that your match may have posted. The “One-to-Many” report will give you all the users that you match on GedMatch. This can be an unbelievably large number of matches! This report will give you all the information you need on comparing matches and how to contact the matches (I’ve blacked out names on my results). The above picture just shows a snippet of my matches. Believe me the list goes on and on. There is so much more that GedMatch can do, but I’ll go into more details in a later blog. I just wanted today to talk about the basics. If this all sounds like a bunch of gibberish, that’s okay. I promise the more you use DNA the easier it gets! Also, if you ever have any questions about how to read matches or what to do with your DNA results, send me an email…I’d love to help you! Previous Post Am I On the Maury Show? !